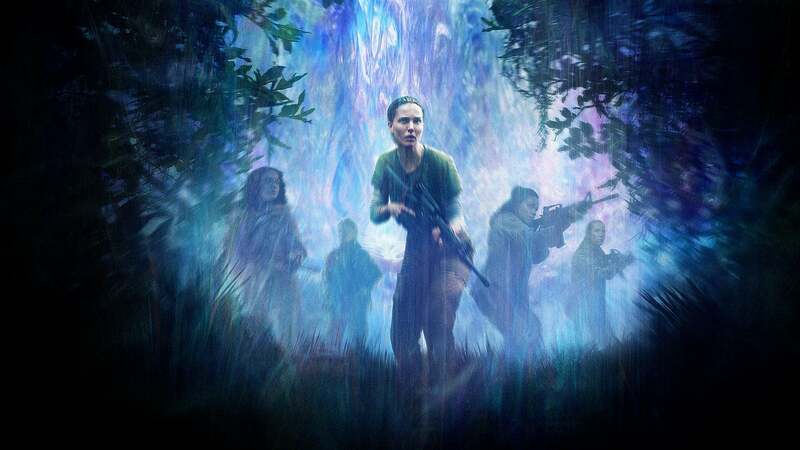 Annihilation review: Alex Garland continues to bring smart sci-fi to the masses – AiPT! Alex Garland has been one of my favorite writers for quite some time. There’s his book The Beach which I absolutely love; that novel was adapted for the big screen in Danny Boyle’s film of the same name, which then started a working relationship between the two that would include 28 Days Later and Sunshine. Garland finally wrote AND directed his own sci-fi film Ex Machina, which I found to be focused, gripping, and very interesting. When I heard he was getting behind the camera again for Annihilation (he wrote the screenplay based off Jeff VanderMeer’s novel of the same name), I knew I had to be there opening night. The film opens with biologist Lena (Natalie Portman) being questioned by a man named Lomax (Benedict Wong) in a containment cell. Lomax as well as a few others are in the cell in hazmat suits and lots of people are watching their conversation from outside the cell. He’s asking Lena questions about a mission she just returned from alone. She doesn’t seem to remember everything and she has no idea how long she was gone. Flash to a sequence of something soaring through space, crashing down onto earth and into a lighthouse. Cut to Lena working at John Hopkins as a professor some time before this mission took place that she was discussing in the opening scene. She seems haunted by her husband Kane’s (Oscar Isaac) disappearance over a year ago and is a bit of a recluse. Kane shows up that weekend in the house and Lena is overwhelmed at the fact that he’s back. He doesn’t seem quite right, and says he’s not feeling well after taking a drink of water. Lena rides in the ambulance with him on the way to the hospital, but they’re pulled over and taken by government agents. She wakes up in a compound and meets Dr. Ventress (Jennifer Jason Leigh), who explains that Kane’s mission was to head into an area called The Shimmer that formed in the area surrounding the lighthouse in the past three years. He is the only person to have made it out alive so far, and he’s currently dying in the facility. Lena decides she wants to head on the upcoming mission into The Shimmer with Dr. Ventress and three other women. She decides not to tell the three other women about her personal connection to the mission due to Kane. From here, the ladies enter The Shimmer and there are jump scares, eerie discoveries, and drama along the journey to the lighthouse. I don’t want to ruin anything but the concepts and ideas put to screen are pretty incredible. The final twenty or so minutes reminds me in a way of the acid trip sequence from 2001: A Space Odyssey. It’s trippy and glorious. This film isn’t afraid to “go for it” if you catch my drift. It’s full on sci-fi, it doesn’t give us all the answers, and it makes you think a hell of a lot. There are a couple unnecessary subplots that were slightly confusing, but other than that this film is great. Alex Garland impresses again with Annihilation after his intriguing directorial debut Ex Machina. He challenges the viewer with his brand of compelling sci-fi, and it’s exciting to see the genre delve into this territory under Garland’s control. I can’t wait to see what he works on next. Annihilation mixes drama, suspense, and compelling sci-fi to give us a trippy and rich cinematic experience that's only slightly bogged down by some unnecessary subplots.